A peanut butter flavored batter swirled with large pieces of Butterfinger Nest Eggs and crumbled pieces of bacon. A delightfully delicious chocolate glaze. More bacon. 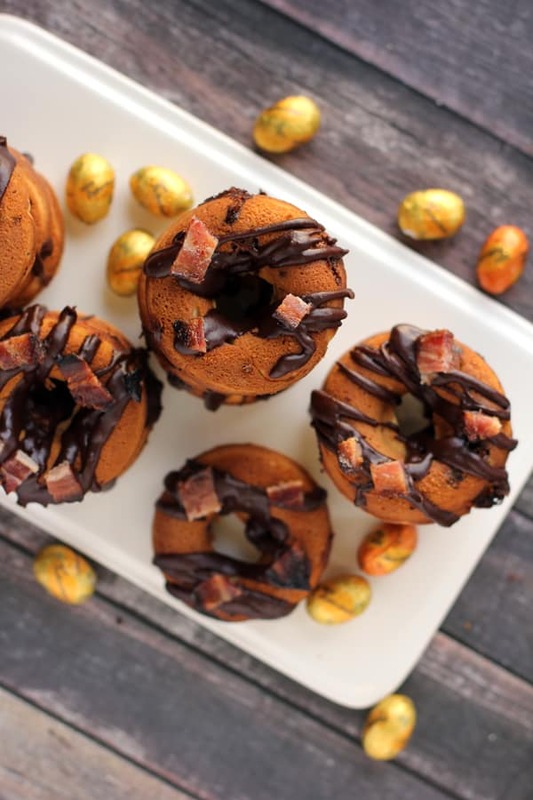 These Butterfinger Nest Eggs and Bacon Donuts prove that no matter the ingredients, eggs and bacon are the perfect pair! Eggs and bacon are like the perfect pair. They always go together. Even if those eggs happen to be Butterfinger Nest Eggs. Right? RIGHT! Friends, these are my new favorite donut creation. In fact, my sister-in-law who happens to be the best give-it-to-me-straight taste tester said they are my best ever donuts. If that isn’t a seal of approval, I don’t know what is! Sure, I’ve made other donuts. 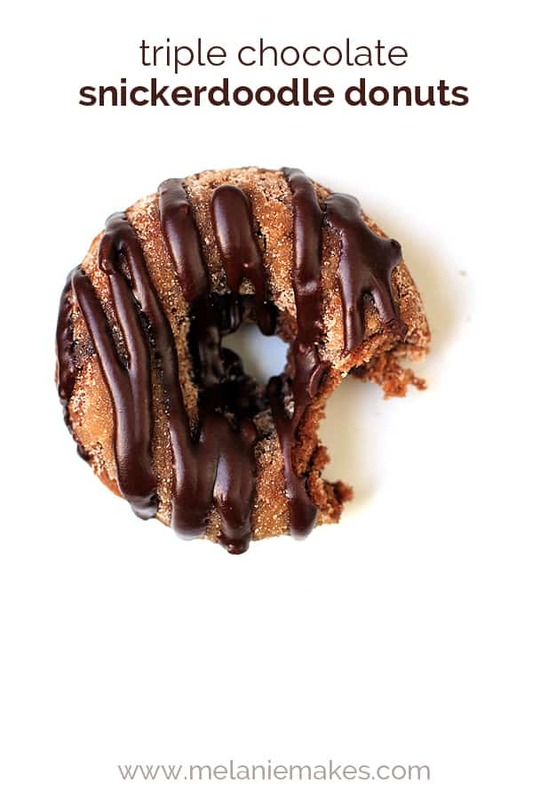 There are the Triple Chocolate Snickerdoodle Donuts that I made 7 dozen of within two days. And of course, my Jelly Bean Donuts that are the perfect Spring time treat. 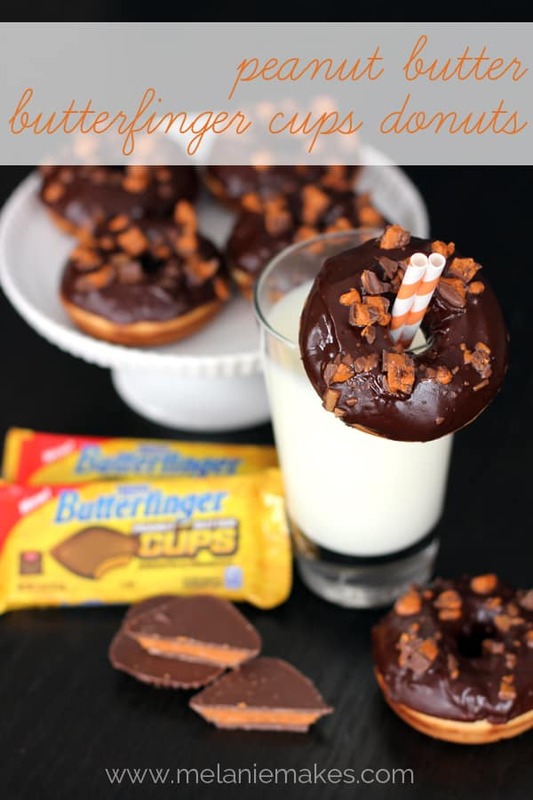 And then there are the Peanut Butter Butterfinger Cups Donuts that started my donut obsession. This recipe is actually a spin-off of that one. It all begins with a peanut butter flavored batter that’s swirled with large pieces of Butterfinger Nest Eggs and crumbled pieces of bacon. This is where I’ll also admit to adding bacon drippings to the batter. What can I say, it just kind of happened! 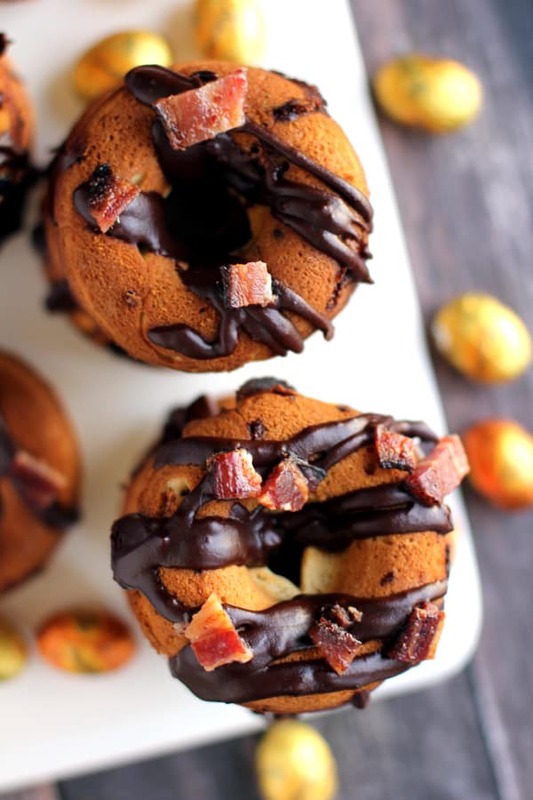 The donuts are baked and when cooled are drizzled with a delightfully delicious chocolate glaze and then topped with additional bacon pieces. Chocolate, peanut butter and bacon prove to be an amazing flavor combination! Lightly spray donut pans with nonstick spray. In the bowl of an electric mixer, cream together butter, bacon drippings, peanut butter and sugars. Add eggs, mixing until combined. Mix in baking powder, baking soda, salt and vanilla. Beginning and ending with the flour, alternate adding flour and milk into dough mixture until just combined. Fold in Butterfinger Nest Eggs and bacon, being careful not to over mix. Spoon dough into large freezer bag and snip one corner to create piping bag. Pipe batter into donut wells, filling 2/3 full. Remove from oven and allow to cool 5 minutes before removing to baking rack to cool completely. In a microwave-safe bowl, add all ingredients. Microwave for one minute and then stir together to create glaze. Pour batter into freezer bag and snip one corner to create piping bag. Glaze donuts as desired. Immediately garnish each donut with crumbled bacon. Best served the day that they are made but will keep two additional days if stored tightly. Eggs and bacon for breakfast. Eggs and bacon for dessert. 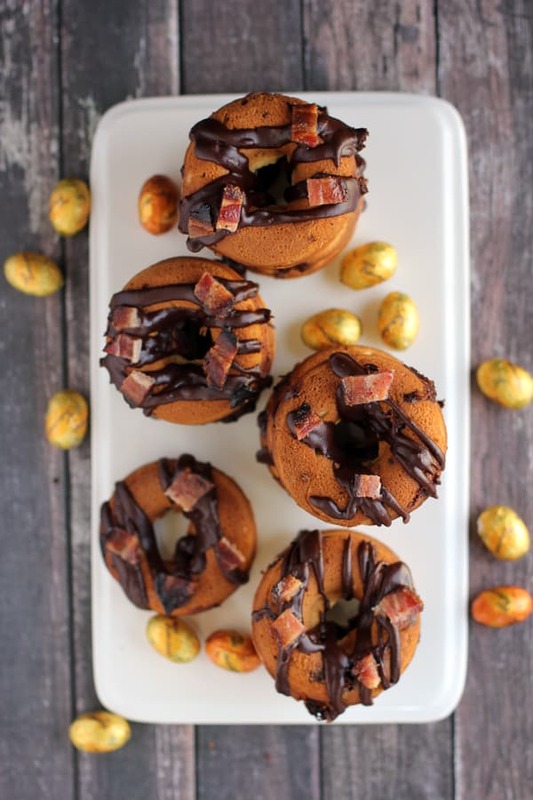 Anytime is the perfect time to serve these Butterfinger Nest Eggs and Bacon donuts! 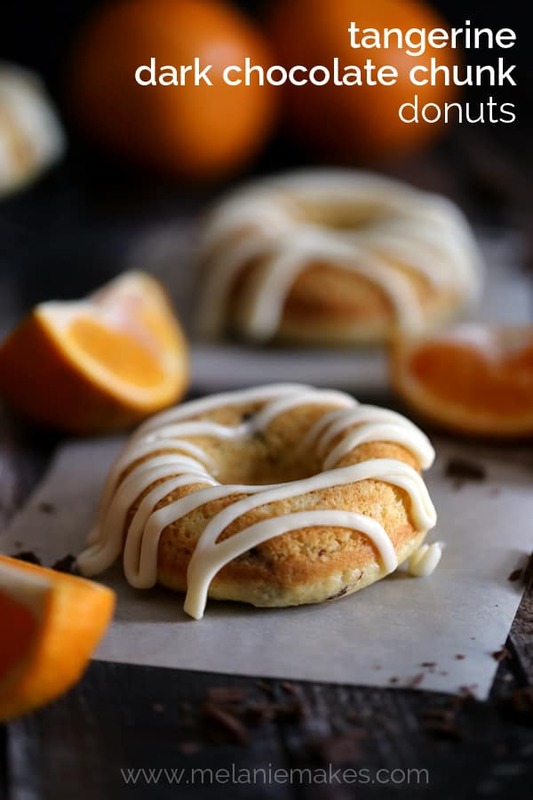 Looking for more great donut recipes? You are so kind - thanks, Heather! Hands down my most favorite donut I've made yet - thanks for you kind words, Cathy! Oh goodness these donuts look amazing! 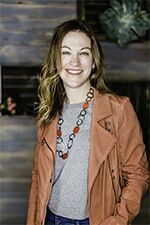 Thanks for sharing at Simple Supper Tuesday. You are speaking my love language - DONUTS!! Oh, I think we'd get along well, Beth! Oh me oh my. I may have to forego lunch and just eat these instead. 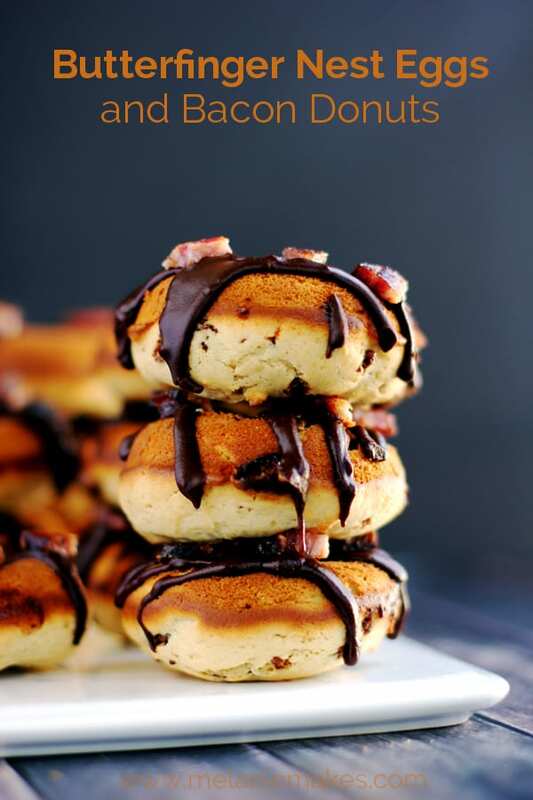 Amen to bacon drippings and chocolate. How much is 5 + 2? Sign up to get new recipes via email.